December | 2015 | What's Cooking at the Genua's? This is a repost from 5 years ago! Wow, time flies! 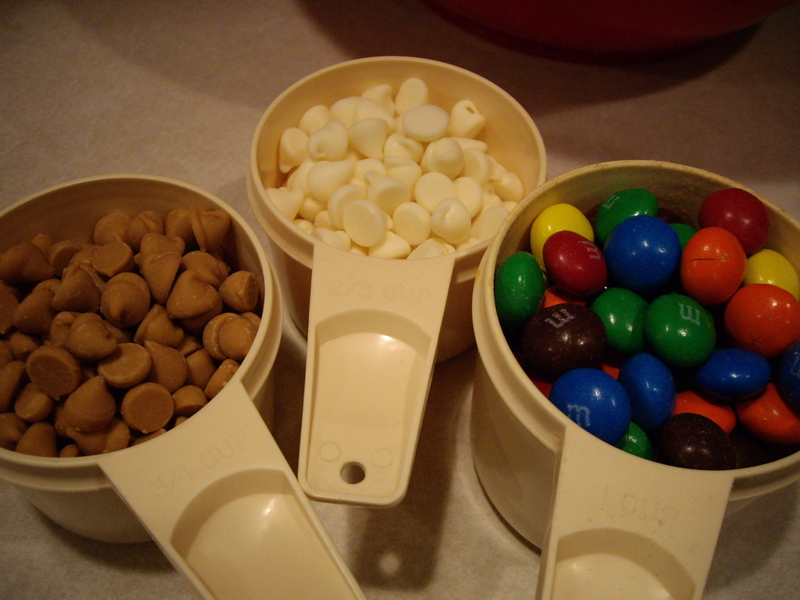 Still loved making these and they were oh so good!! Popcorn, popcorn, popcorn! I LOVE popcorn. If there was a popcorn diet I’d be on it for sure. The smell of freshly popped buttery goodness has to be the best smell in the world. I can’t walk past a movie theater without taking a huge deep inhaling breath! 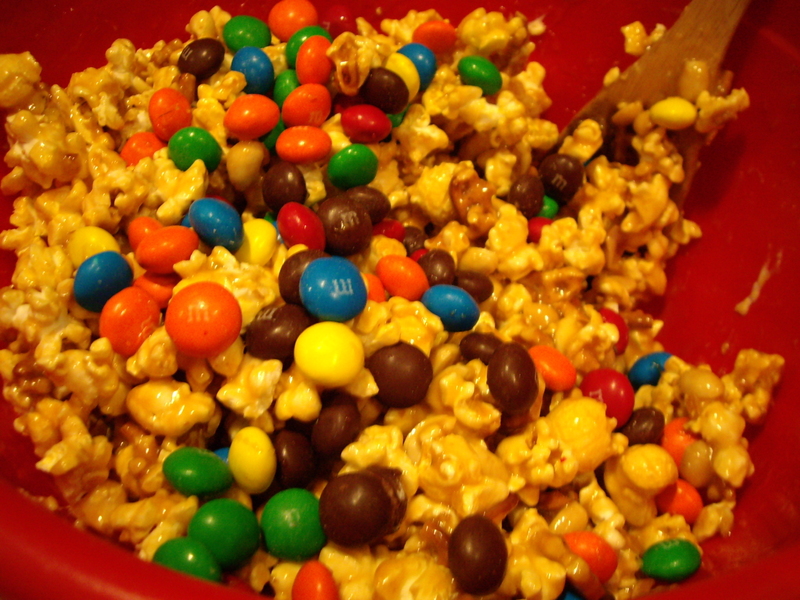 Aaahhh….The only type of popcorn I don’t usually like is popcorn balls. I don’t know why but for some reason they just don’t appeal to me at all. 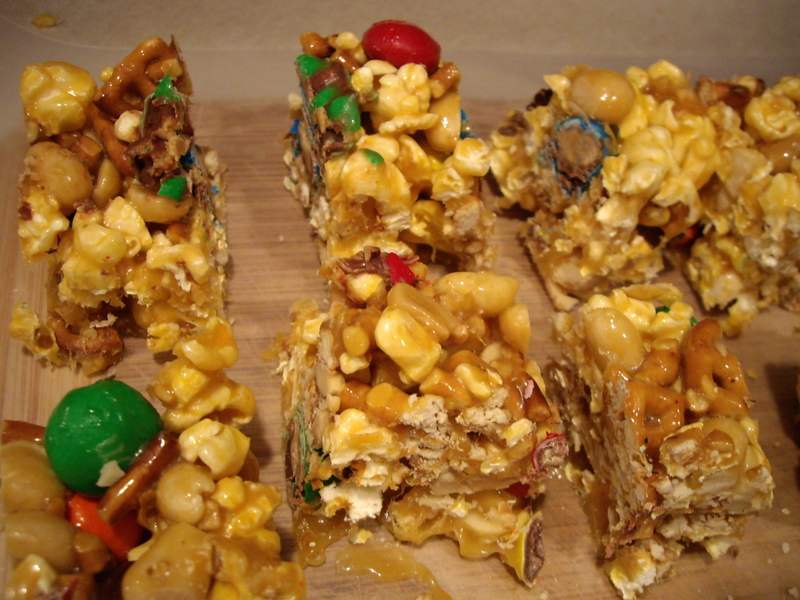 But these popcorn bars are something entirely different. They have salty peanuts, pretzels chocolate chips and candy! What’s not to like! The candy-coated pieces can be in red and green for Christmas! Kids large and small will love them! I know I do! 1. Spray a large bowl with cooking spray. 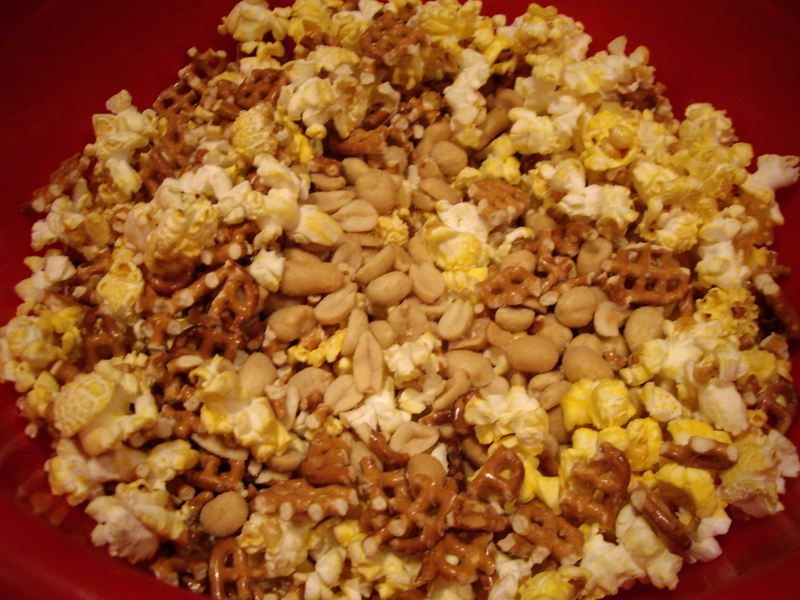 Add the popcorn, peanuts, and pretzels. 2. 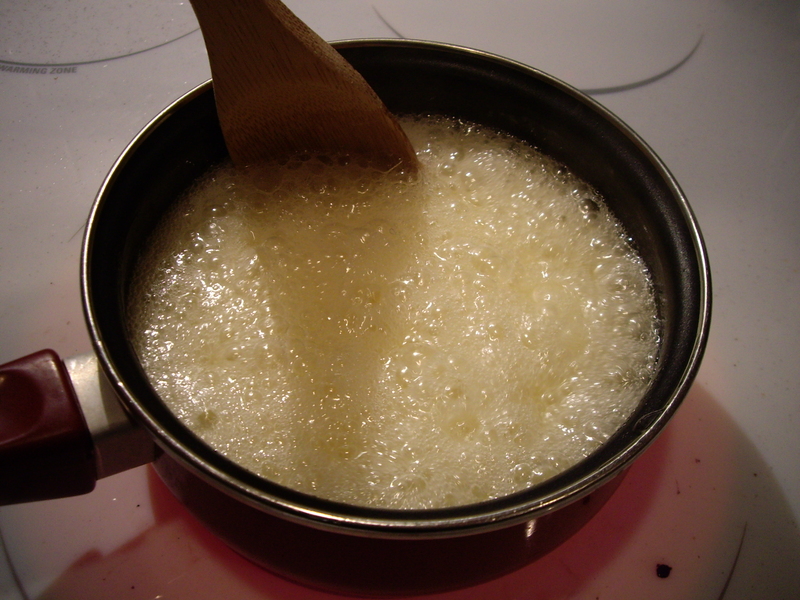 Cook the corn syrup and butter in a medium saucepan over medium heat. Stirring constantly, bring to a full boil for 1 minute. 3. 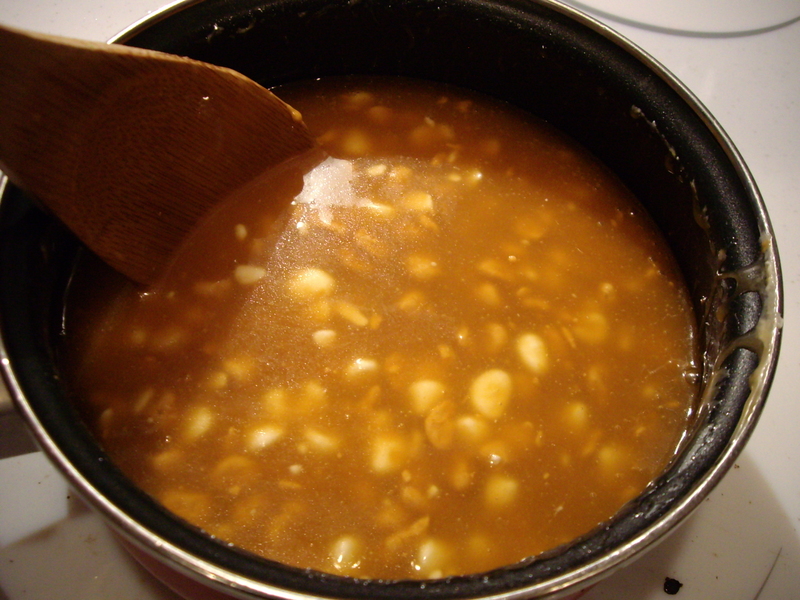 Remove from the heat and add butterscotch chips, stirring until melted. 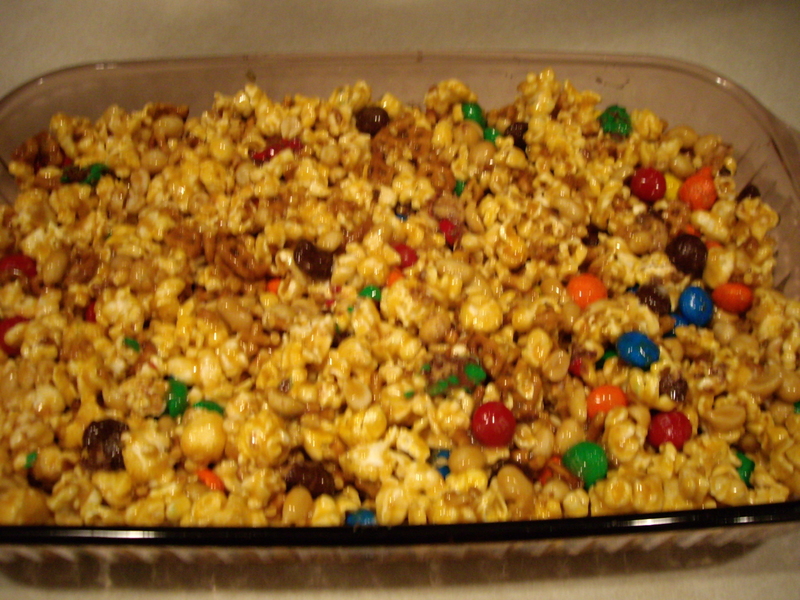 Pour over popcorn mixture and mix well. 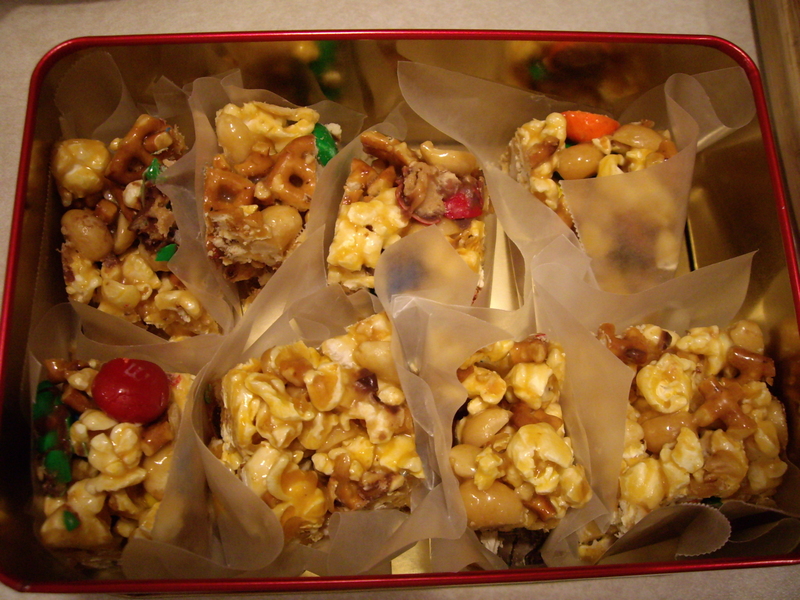 Stir in candy-coated chocolate pieces. 4. Press into a greased 13×9-inch pan. Cool at least one hour. Cool in the refrigerator also. It makes cutting them into bars much easier. Cut into bars.